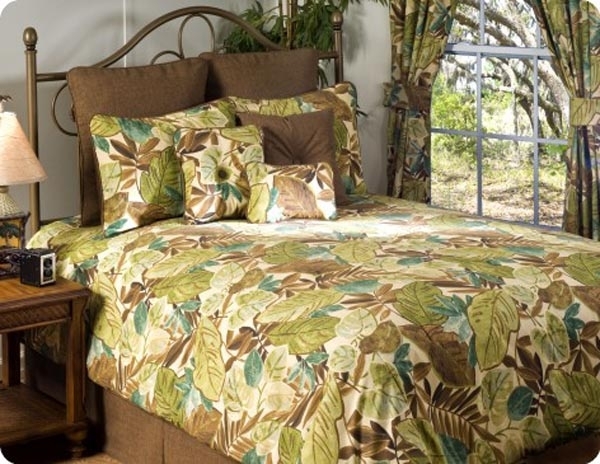 Go on a tropical rainforest expedition without leaving your bedroom with the Bahia by Victor Mill comforter set from The Curtain Shop. This lush set of bed linens is made from 100 percent spun polyester and adorned with an entire jungle's worth of palm leaves and other foliage. The soothing earth tones of green, chocolate brown and taupe create a calming palette ideal for getting cozy. 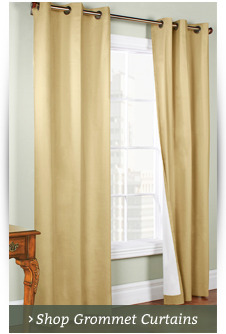 No matter what size bed you have or how many pieces you prefer in your bed set, The Curtain Shop has the perfect option for you. 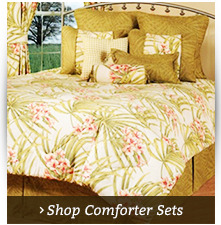 The Bahia by Victor Mill comforter set is available in Twin, Full, Queen, King and California King sizes. 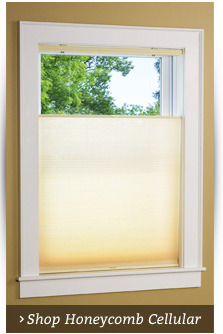 Choose from two different set options in each size. 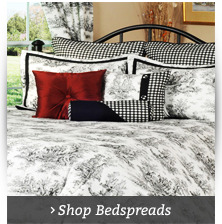 The first is a basic option that includes one comforter, one bed skirt and one or two pillow shams. The second is the entire ensemble which includes all of the basics plus Euro shams and three decorative pillows.